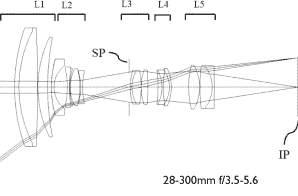 20th More Canon patents at Egami [Google xlt] – how about an 800mm f5.6 Diffractive Optics 1:1 macro lens? The patent also includes a 50/2 design for a full frame mirrorless (22 mm backfocus [BF] distance). The text suggests the likelihood of a full frame mirrorless – this is not easy to read – please do let me know if you can make sense of it? Meanwhile – there are lots of 400mm lenses predicted for next year. 12th As part of Canon’s revamp of their prime lens range, expect a replacement for the (1993) 50/1.4, with added image stabilisation next year. 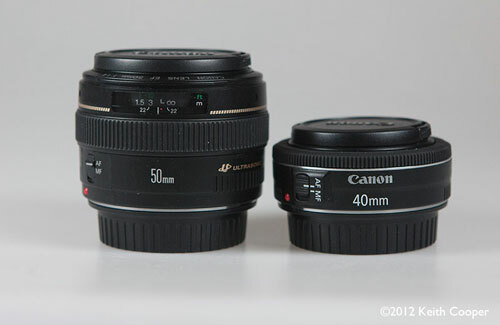 The existing 50/1.4 is actually not a bad lens, and at f/1.4 any replacement would be Canon’s fastest IS lens. I have one I use for panoramic shots – the giant 14m long 20GB print I created earlier this year was captured using the 50/1.4. I had thought it more likely that the (1990) 50/1.8 II would get the new prime treatment first, but that’s really a lens built to a price and the f/1.4 market might better take the likely price increase. 7th I’m told [thanks] that the two remaining TS-E lenses are slated for replacement next year (TS-E45 and TS-E90 both from 1991), with the fully adjustable movements seen in the TS-E17 and TS-E24, along with bigger image circles and improved performance. That been expected for a while, but what was also mentioned was that there is a 5th ‘special’ lens with movements that would be announced at the same time.This lens would be in the same ‘because we can’ category as the EF8-15 and the unique MP-E65 (a 1999 lens – collected info at EFlens). There are suggestions of new lightweight long lenses on the way [CR] and that the built in 1.4TC may become more widespread. 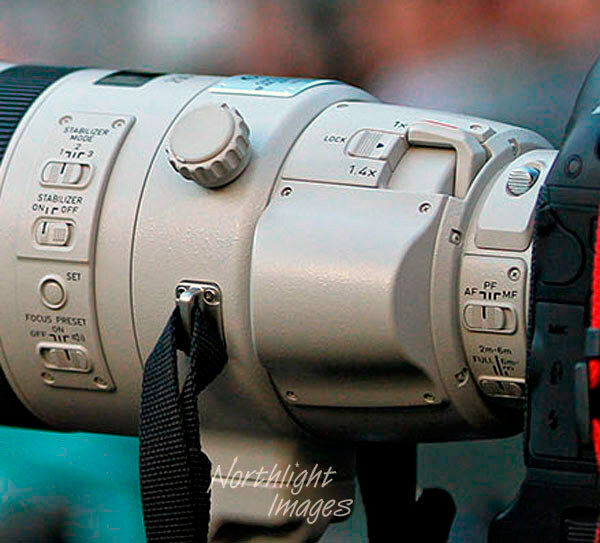 15th After yesterday’s mention of the 200-400 delays, I’ve heard from a couple of people who used the lens at the Olympics and Wimbledon [thanks], unfortunately they just said how well it worked, and how they really wanted to add one to their day to day equipment. Whatever the issues might be, they didn’t notice. Has anyone trying the 200-400 over the summer noticed any potential issues, maybe with the extender? …suggestions [CR] that unforseen design/manufacturing issues have hit the product. 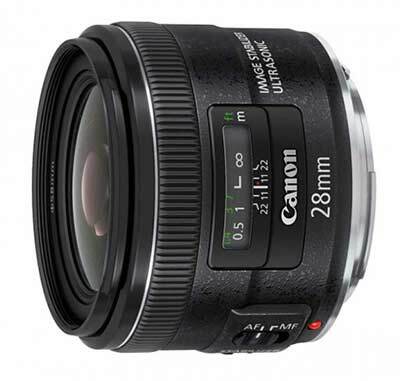 United Kingdom, Republic of Ireland, 6 November 2012 – Canon today adds to its world-famous EF lens series with the launch of two models designed for enthusiasts and professionals – the EF 24-70mm f/4L IS USM and EF 35mm f/2 IS USM. Offering first-class optical technologies alongside highly compact designs, the new lenses are perfect for a range of creative purposes, including reportage, landscape, portrait, and travel photography. 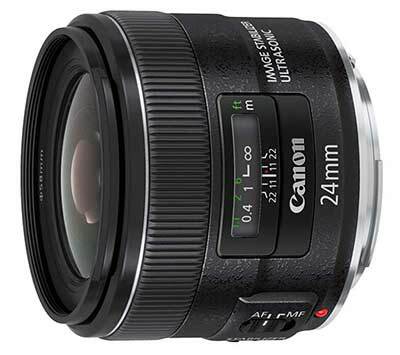 EF 24-70mm f/4L IS USM is also the latest lens to feature Hybrid IS, delivering shake-free shots at any distance, including at macro focal lengths. 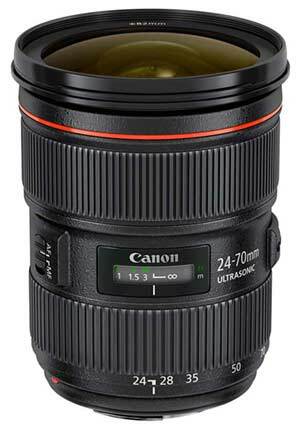 The EF 24-70mm f/4L IS USM is the latest addition to Canon’s elite L-series, and expands the range of standard zoom EF lenses available for both professional and amateur photographers. Ideal for reportage and wedding photography, it combines an essential everyday focal range with a premium quality L-series construction, delivering consistently sharp, professional-quality stills in a range of different situations. A new macro function also optimises the placement of lens groups during macro photography, allowing shooting at a maximum magnification of 0.7x – reducing the need for photographers to carry a dedicated macro lens. Its first-class optical system includes two aspherical elements alongside two Ultra-low Dispersion (UD) lenses, each with optimised Super Spectra Coatings to minimise chromatic aberration, colour blurring and flare. A constant f/4 aperture throughout the zoom range provides photographers with exceptional creative control, allowing blurring of the background of a scene at all focal lengths. A nine-blade circular iris also assists photographers in making their subjects stand out, delivering beautiful out of focus highlights (bokeh) in the background blur to add atmosphere to a shot. The EF 24-70mm f/4L IS USM also features a newly designed IS system, delivering blur-free images throughout the zoom range. Canon’s advanced optical IS offers a 4-stop light advantage, while Hybrid IS effectively compensates for angular and shift shake during macro shooting for stable close ups. 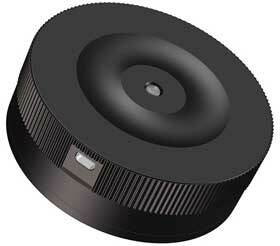 Superfast AF performance is provided by a small, ring-type Ultrasonic Motor (USM). Working in combination with a high-performance CPU and advanced AF algorithms, USM technology enables accurate, silent and ultra-responsive autofocusing. Full-time manual focusing also ensures adjustments can be made even when AF is engaged. 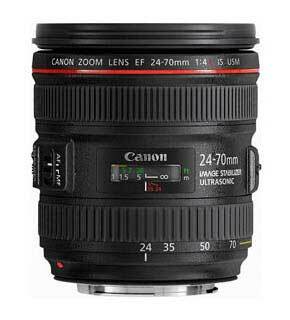 The EF 24-70mm f/4L IS USM features a high grade, usability-focused design – both inside and out. The exterior features a high quality leather-texture coating, a revised shape ensures ease-of-use, and the focusing and zoom rings have been designed for optimal operation. Additionally, a dust and drip-proof construction is resistant to dust and moisture, a lock function protects lenses from knocks when travelling, while fluorine coating minimises the amount of dust, dirt and fingerprints that adhere to the front and rear lenses – helping to maintain superior image quality and reduce the need for cleaning. The new EF 35mm f/2 IS USM is designed to offer outstanding flexibility – allowing photographers to capture an even broader range of scenes and subjects in wide-angle. The lens is Canon’s first-ever 35mm prime to feature optical Image Stabilizer technology, which combines with high quality optics to offer outstanding performance from a lightweight, compact body. The 35mm focal length also provides the ability to capture everything from close-up portraits to wide-angle landscapes, making it an ideal companion for travel or general reportage photography. Its advanced specification offers photographers great flexibility to shoot a wider-range of scenes and subjects. A bright, fixed f/2 aperture also allows photographers to employ a shallow depth of field, and optical IS offers users a 4-stop light advantage, allowing the capture of blur-free images in low light conditions when shooting handheld. Intelligent detection of panning motion is also supported, with Panning IS mode automatically engaged to enable photographers to capture movement with greater accuracy. 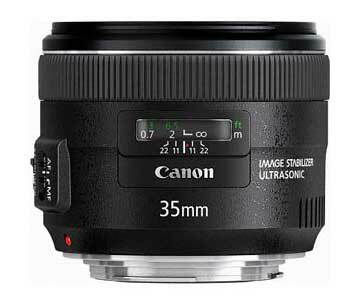 Designed to deliver exceptional image quality, the EF 35mm f/2 IS USM features an aspherical glass-moulded (GMo) element positioned at the rear of the optical path to correct aberration for the entire optical system. Additionally, each individual element features optimised Super Spectra coatings to reduce ghosting and flare – ensuring excellent colour balance with minimal need for post processing. 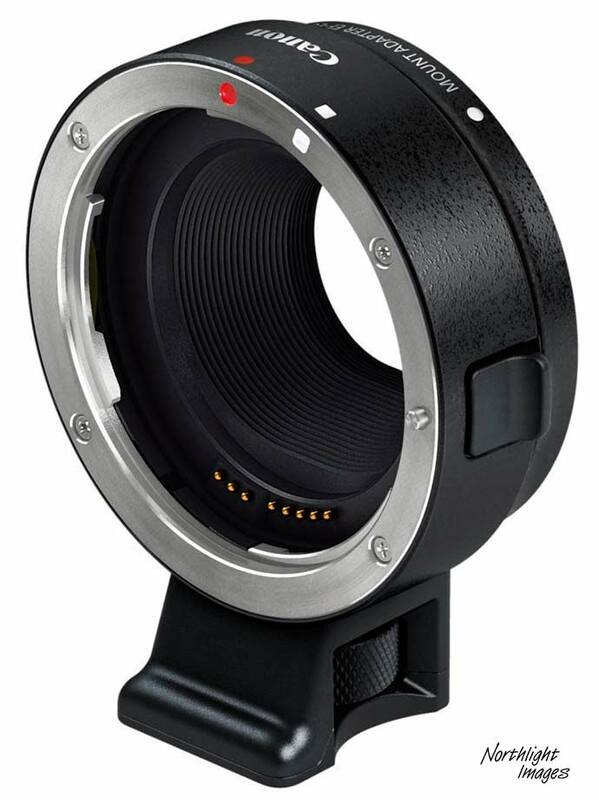 A combination of a ring-type USM and high performance CPU also provides rapid AF performance, with full-time manual focus also available for users who want to retain maximum control. Both new lenses also come with newly-designed Mark II lens caps, which incorporate a hook mechanism in the centre of the cover, as opposed to the sides. Simply pinching the hook allows users to quickly remove and replace caps mid-shoot, especially when using lens hoods. The re-designed lens caps will start to be rolled out across Canon’s entire EF lens range from the beginning of January 2013, and will also be available to buy separately. 3rd Along with a Canon Pro-1 printer, I’ve been lent the new EF40mm for a try (with a 7D and my 1Ds3) – I’m curious as to what people see 40mm as a good focal length for? (64mm equiv on 7D). On further checking I see a similar ad for the ‘new’ EF 400mm f/4.0 DO IS USM (2001 release). Some time ago I wrote a detailed article about tilt lenses and how to focus them. I’ve just finished a second article showing a simple iterative approach to focus with tilted lenses, that works well in the studio. Whilst I use the tables from the first article for my architectural and interior work, the iterative aproach can be quick and easy with a well lit subject. – includes a wide range of lenses. 8th Looking for the 200-400? Even though not formally announced, it looks as if it’s going to go for around 10,200 euros. 6th I’ve taken over the editing of the EFLens.com web site and will be expanding it to collect all the assorted EF lens information I find. 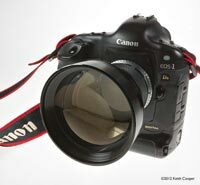 I’d like to develop it into a really useful resource for Canon EF lens mount users. If anyone has any suggestions, or would like to contribute, please let me know. 25th Whilst Sigma announce a nifty USB connected lens mount/dock [PP] for adjusting and updating their lenses, it seems that if you are in Europe and want your Tokina lens corrected/adjusted, you’re out of luck? You are likely to be sent a replacement lens, since the requisite equipment isn’t apparently available outside of Japan. 11th The new 24-70 is shipping in Austria. 4th Sightings of a 24mm f/3.5 tilt/shift lens from Samyang [PR] +-12mm of shift if the picture is accurate. 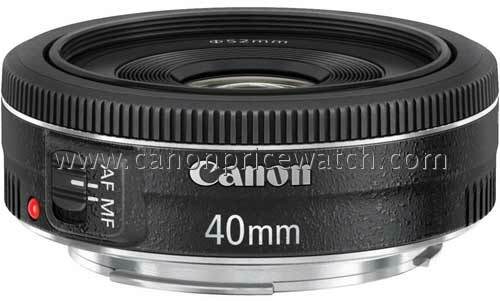 We also hear of a possible new 400/5.6 L appearing before photokina. 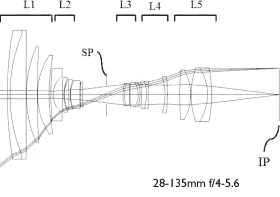 29th Two new Cinema Zoom Lenses: CN-E15.5-47mm T2.8 L S/SP and CN-E30-105mm T2.8 L.
Example shows 14mm/2.8 – looks like a development of Canon’s SWC coating (colour image). 21st New firmware for the EF40 pancake lens is available. There’s even a spreadsheet to compare prices. It has been confirmed that the autofocusing function of the EF40mm f/2.8 STM lens, which was released in June 2012, may not operate correctly. The details of this phenomenon are described below. Phenomenon: If pressure is applied to the lens barrel while the lens is mounted to the camera (pressure can be applied even while attaching the lens cap or while carrying the camera with the lens attached in a bag), the autofocusing function of the lens may stop working. *This phenomenon does not occur during normal shooting. *This phenomenon does not result in a malfunction of the lens. Workaround: When the above phenomenon occurs, detach and reattach the lens, or remove and reinsert the camera battery to restore the operations. Market Support: The firmware to address this phenomenon will be available for download in late August, 2012. Once this firmware is ready, we will make an announcement on our Web site. 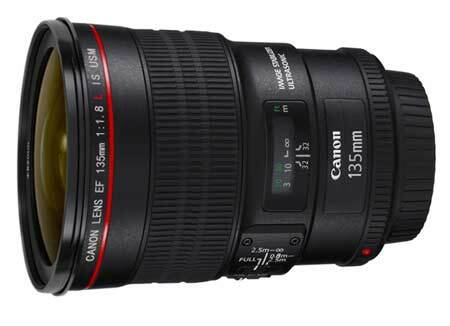 3rd Canon has issued a firmware update for the Canon EF300mm f/2.8L IS II USM, EF400mm F2.8L IS II USM, EF500mm f/4L IS II USM and EF600mm f/4L IS II USM lenses. The third digit in the serial number is either 0, 1, 2, or 3 (xx0xxxxxxx, xx1xxxxxxx, xx2xxxxxxx, xx3xxxxxxx). The third digit in the serial number is 0 (xx0xxxxxxx). Lenses with serial numbers other than those listed above are equipped with Firmware Version 1.1.1 or later. The 135/2 dates from 1996 and has often been mentioned as due for update. 29th New lenses on the way? The 400/5.6 is widely unavailable (a 1993 lens), whilst that long awaited 100-400 (1998 lens) replacement is getting mentioned a lot in the rumour-go-round. If you add it in that the 200-400 has still not been formally announced (there are lots of them on loan at the olympics), you get quite a few to pick from for Photokina. Of more personal interest to myself is the suggestion (thanks) that new versions of the TS-E45 and TS-E90 are due during next year, along with another new ‘specialist’ lens. I use the TS-E90 quite a lot. It’s extremely sharp, but would benefit from the new movements mechanism of the TS-E17/24 II (you can modify the 90mm yourself with care). I’d like to see a design that offers a few more degrees of tilt. I sometimes use the exisiting one with extension tubes, so good close-up performance would be nice. It would be nice if tilt/shift info was encoded in EXIF data, but that would make for a much more complex mechanism. 21st A new EF-M 18-55mm IS lens is sighted for the EOS M due next week. 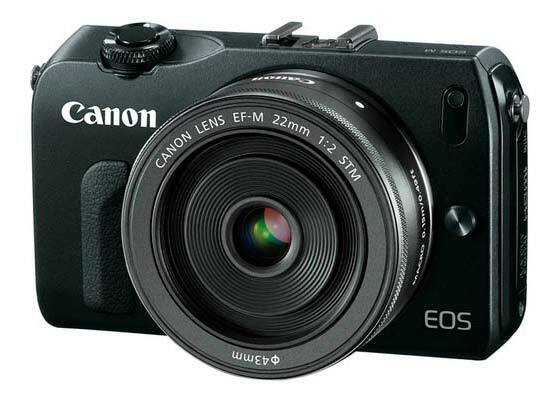 20th The new 22mm f/2 STM EF-M lens is seen on the front of the new Canon mirrorless EOS camera. 14th More patents from Egami [Google xlt] with a 135mm and 180mm that include what appear to be electronically deformable liquid optics? In this case it’s aimed at apodization and improving bokeh. Novel stuff (probably) but shows the difficulty of trying to translate Japanese patents. 13th Seems I forgot the length of the current 800mm which is also 46cm long – so perhaps not the £15k price ticket or 4.5kg weight. It’s been a while since Canon dabbled in the green ring DO lenses – the 800mm would only be 46cm long. Just that (sometimes) annoying flare to fix. 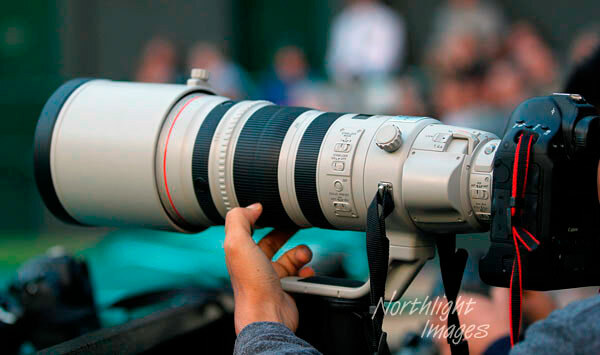 3rd The 200-400 is very close to release, with it being seen in use for the tennis at Wimbledon. 19th A response to Nikon’s 14-24 lens has been rumoured for several years now, indeed in 2010 we were told that it wouldn’t be until after the 24-70 was updated. What does this actually show? Well it looks a fairly good lens, and aberrations look relatively uncomplicated (so easier to fix in software). 19th Fancy a rather different approach to Lens design? There is a kickstarter project for this if you’re interested. Perhaps it won’t quite replace my Canon TS-E lenses, but could be fun. If you back the project with different amounts, there are a range of potential benefits, for just a few dollars. BTW I’ve no connection with this – just thought it sounded interesting. “We have confirmed that when the EF200mm f/2L IS USM and some units of the EF800mm f/5.6L IS USM lenses are used with the Canon EOS 5D Mark III Digital SLR Camera, the Lenses may emit an abnormal noise. 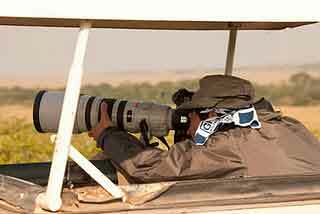 *This phenomenon does not occur with cameras other than the EOS 5D Mark III. 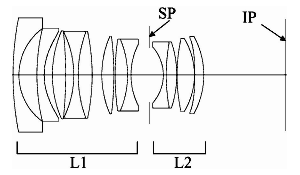 *If the fifth and sixth digit of the six-digit alphanumeric number that is imprinted on the lens mount of the above EF lenses is of any of the following numbers, the lens is affected. Details from Canon USA – repairs available from 21st May. Note that this is currently for the US only. 10th We’re told that there are copies of the new 500 and 600 (and 1D X) with a big UK sports news organisation, and that they are being tested at UK football matches and in the Olympic rehearsal events. Given my lack of knowledge (or much interest) in either, I’ve no way of checking this though. Anyone seen anything? United Kingdom, Republic of Ireland, 12th April 2012 – Canon would like to advise of an updated sales start dates for the previously announced EOS-1D X and EF 24-70mm F2.8L II USM lens, due to a delay to the start of mass production. The EOS-1D X will now be available to buy from mid-June 2012, and the EF 24-70mm F2.8L II USM lens from early-July. We would like to apologise for any inconvenience caused to customers. United Kingdom, Republic of Ireland, 12th April 2012 – Canon today announces the development of four new digital cinematography zoom lenses, as the company expands its EF Cinema Lens range to provide greater creative options for video professionals. Joining the seven high-end lenses announced in 2011, the new models support 4K (4,096 x 2,160) resolutions and will be smaller, lighter and more compact – offering outstanding mobility and quality. Available with both EF and PL mounts, the lenses will also be available at competitive prices, offering premium performance to a wider range of users. The expanded EF Cinema Lens series will include two wide-angle cinema zoom lenses, the CN-E15.5-47mm T2.8 L S (EF mount) and CN-E15.5-47mm T2.8 L SP (PL mount), alongside two telephoto cinema zoom lenses, the CN-E30-105mm T2.8 L S (EF) and CN-E30-105mm T2.8 L SP (PL). Ideal for use with next-generation 4K cinema cameras, the new lenses will join Canon’s existing line-up of high-end EF Cinema Lenses in forming the core of the Cinema EOS system, which spans lens, digital cinema camera and DSLR categories. In addition to compatibility with industry-standard Super 35 mm-equivalent cameras, the four cinema zoom lenses will also offer superior flexibility. Each lens will feature a compact, lightweight body supporting a wide focal range, making them ideal for handheld shooting. Combined with the Canon’s existing high-end EF Cinema primes, the new lenses will offer a greater variety of creative possibilities for video professionals of all types. Prototypes of the new cinema zoom lenses will be on display at NAB 2012, one of the world’s largest events for the video, broadcasting equipment and digital media industries. NAB 2012 will take place from April 16 to 19 in Las Vegas, USA. The CN-E15.5-47mm T2.8 L S (EF mount), CN-E15.5-47mm T2.8 L SP (PL mount), CN-E30-105mm T2.8 L S (EF mount) and the CN-E30-105mm T2.8 L SP (PL mount) will be available from September 2012. United Kingdom, Republic of Ireland, 27th February 2012, Canon today announces that its EF 500mm F/4L IS II USM and EF 600mm F/4L IS II USM lenses will be available to buy from May 2012. The EF 600mm f/4L IS II USM is available from May 2012, priced at £11,299.00/ €13,549.00 RRP incl. VAT. 25th We’ve heard (thanks) that the TS-E45 and TS-E 90 are due for updates and ‘L’ treatment along with the new mechanisms found in the TS-E17 & 24 II. There is supposedly another ‘lens with movements’ in the set, but as yet, no info. Unfortunately nothing likely until 2013, although they may get ‘pre-anounced’ (in what, IMHO, is becoming an increasingly annoying habit for Canon) at Photokina. The next such lens after the 35 might be the 20mm, but that’s already USM. Discuss this with Keith on G+ ? 20th There are indications [PB] that the long lost 500/4 and 600/4 might be here by May. 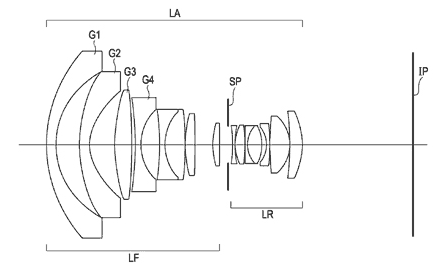 A patent for a potential 15-45 lens for Canon Mirrorless is seen. being tested with a new body that might be the 5D3 [AA] Launch in March/April. 20th In the upturn in 5D3 rumours, we’ve had a couple pointing to a new version of the 24-70/2.8L being available as a kit option – said to look quite different in design (no mention of IS). BTW – I’ve been wondering just what was -really- new at CES/PMA?